TVS Motor Company is currently developing a new flagship 150 cc scooter, according to a report from Bikewale. The company will use the Entorq 210 scooter as the base for the new two-wheeler. The new 150 cc scooter will feature design elements from the TVS ENTORQ 210. The TVS Entorq 210 Concept premiered at the Auto Expo 2018. 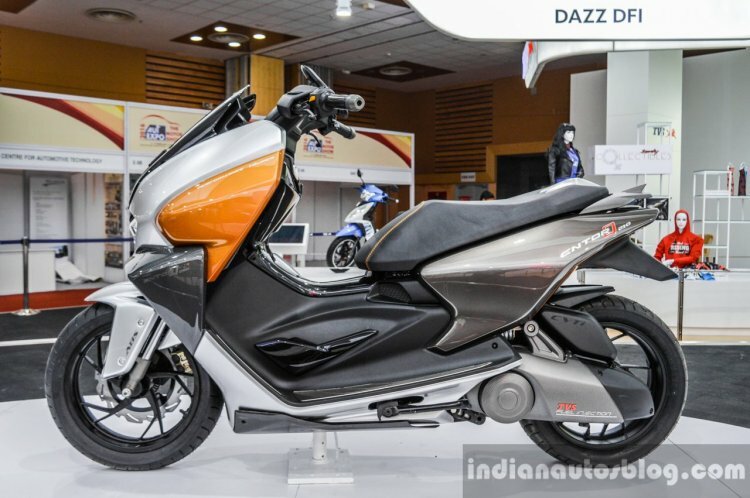 According to the report, the new scooter will make its debut in 2019 and TVS is likely to position it as an aspirational buy. The flagship scooter will get a sporty maxi-scooter styling along with latest tech features. Notable features like smartphone docking station and remote keyless entry will make its way to the Entorq 210. However, unlike the 210 cc motor of the concept, the TVS maxi-scooter will employ a new 150 cc, single-cylinder engine that will feature fuel-injection and class-leading power figures. As a reminder, the engine on the TVS Entorq 210 is mated to a CVTi automatic transmission, while the scooter features USD front forks and a rear mono-shock. According to the publication, the flagship scooter will also get a single-channel ABS unit as standard. The company will position the 150 cc scooter as a global offering but will launch the model first in India. 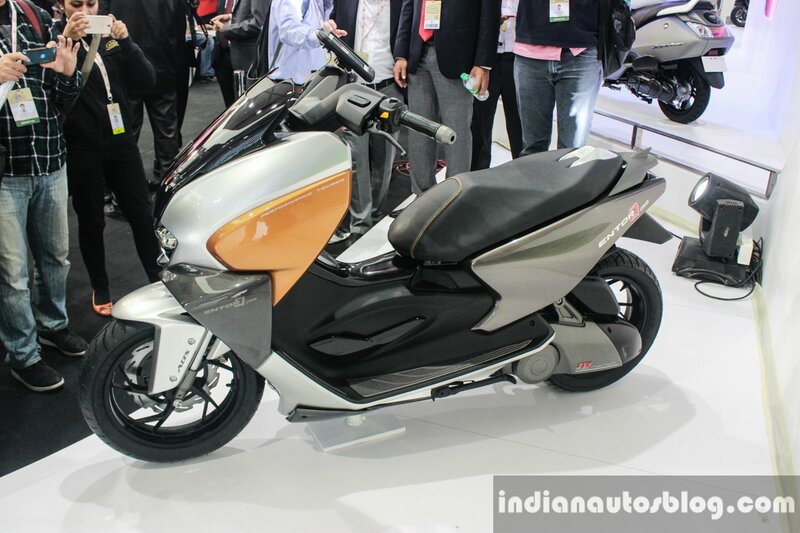 The scooter will source its cycle parts like switchgear and bar-end weights from the recently launched TVS Ntorq 125. The maxi-scooter will also feature an all-digital instrument cluster with the Smart Connect system, which is available on the Ntorq. The system will support turn-by-turn navigation when connected to a Smartphone via Bluetooth. We can expect the vehicle to feature the same suspension setup as the Ntorq 125. The report further claims that TVS will offer ‘superior overall quality’ on the new scooter. The global positioning will help the company to launch the flagship globally which will act as a catalyst for the company to increase its brand value even outside India. The TVS 150 cc Scooter, currently under development, will launch in India in 2019 and subsequently make way into global markets. With the new safety norms set to kick in from 1 April 2019 and the shift to BS-6 emission standards, overall prices of two-wheelers are heading north. Features such as single-channel ABS and fuel injection system will be compulsory on motor vehicles above 125 cc, while that below 125 cc are mandated to have CBS as standard. Given these factors, expect the TVS offering to be the safest model in the company's lineup.